Looking For An Irreprochable Accounting? Before you say it, yes I know there is a spelling error in the title of this blog post – the concerning part of this? This is a copy and paste from an email newsletter I received from an accountant hoping I would use their services. The subject title of the newsletter was ‘For An Irreprocable Accounting” and the name used as ‘from’ was written as “Call A Proffesional” – this is the first experience of the company that I get… and it’s worrying to say the least. I can only presume they meant to say Irreproachable; in which case they were classing themselves as an accountant that is impeccable, exemplary, immaculate, outstanding and exceptional – even perfect, consummate and honourable as the dictionary informs us. Yet, not being able to spell the word they claim to be, makes me feel this may not be the case. I presume they were going to write an accountant, then changed to accounting instead, but forgot to take out the ‘an’? 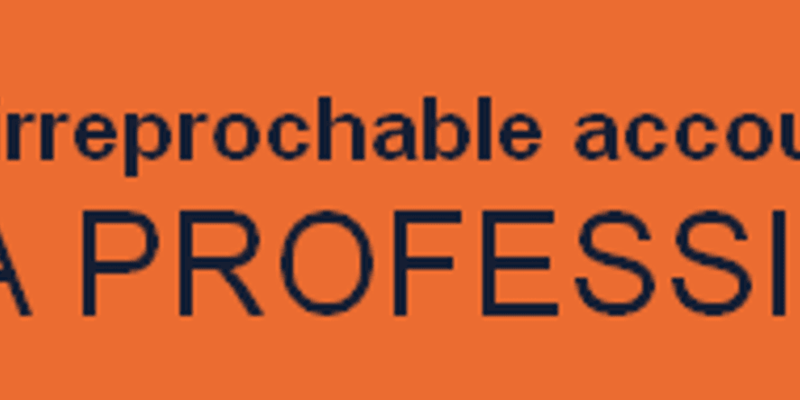 I presume by their name they are also encouraging me to call a ‘professional’ if this is the service I require – and by the fact professional is spelt wrong; I can only presume they are recommending that I do not use them? The email newsletter later goes on to tell me that I can “outsource my accounting completely or partially which will allow me to focus on my activity and minimise the risk of errors” – perhaps if they outsourced their work they could also focus on minimising errors? While in this blog post I have just spoken about this newsletter, this is not a one off thing. Very often I will receive an email newsletter that is littered with spelling or grammar errors and it just tells me that they are not a company to use. If I was looking for a professional accountant an essential requirement would be ‘attention to detail’ clearly not something considered by this accountant. We appreciate that mistakes happen, but if you are sending a business email newsletter to promote your business, services or products it is essential that you make the right impression. If you’d like help with your email newsletters please do not hesitate to contact our team; we’d be happy to help ensure your contacts get the best impression of you and your business.